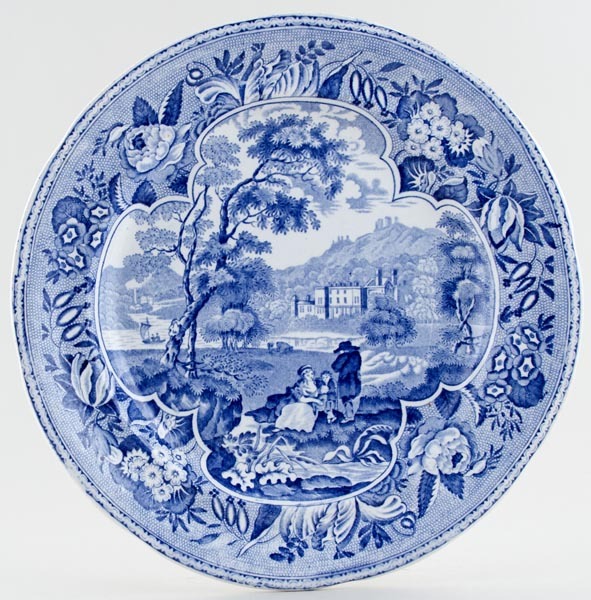 Made by Chetham and Robinson of Commerce Street, Longton, Staffordshire, active 1822 to 1837. Delightful country scene with mansion set amidst hills and stretch of water, with man, woman and child in foreground, beside tall tree and grassy outcrop. Backstamp: Warranted C & R. Light crazing with a little minor wear to the outer rim and on the back.